In the push for 21st Century Skills (*buzzword*), we stress collaboration as an incredibly important skill. I think collaboration is great, awesome, fantastic, and essential to competency in 2015. I am also a Grade A introvert, not to be confused with “shy**”, and collaboration can be exhausting, frustrating, and terrifying. In meetings, I’m often the note-taker or the facilitator as both of these roles allow me to listen intently and process the visual or aural stimuli. I want to contribute but find that without the appropriate amount of process time, I often have my brilliant contributions after the meeting has finished. As teachers, we often teach to our own learning styles/strengths. 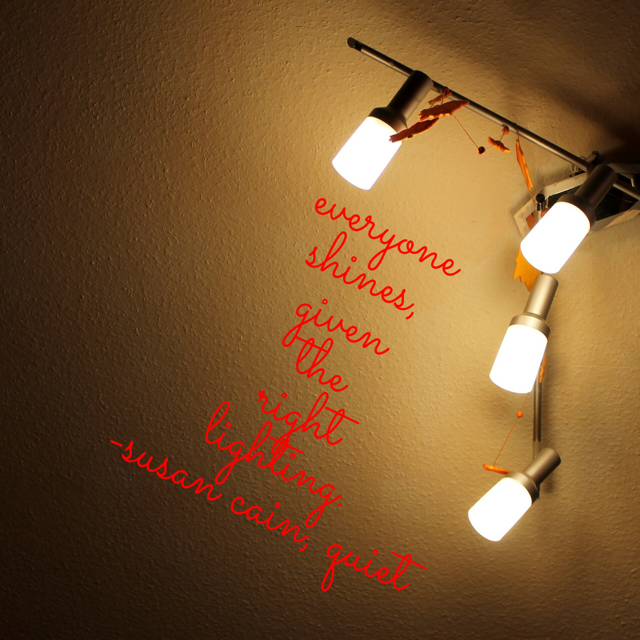 However, I have always fought against my introversion to encourage group problem solving. I think part of that is related to years of being in some form of choral ensemble-it’s a team not a solo! 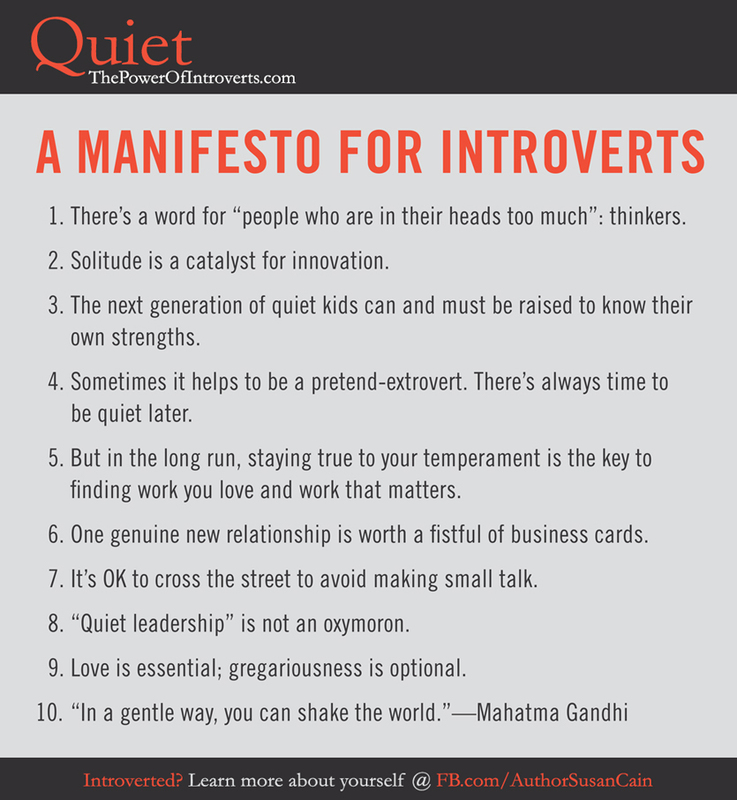 Introverts are often passed over for leadership roles both formally and informally because they are not the “loudest voice.” However, as Susan Cain writes: “I worry that there are people who are put in positions of authority because they’re good talkers, but they don’t have good ideas. It’s so easy to confuse schmoozing ability with talent. Someone seems like a good presenter, easy to get along with, and those traits are rewarded. Well, why is that? They’re valuable traits, but we put too much of a premium on presenting and not enough on substance and critical thinking.” We simply must dig deeper to honor each of our students for their own personality including their intro or extro-version. If you are an introvert, stand tall and know that you have a place at the table!